One of the great things about cruising with kids is that you get to visit several different places and countries without the cost of flying to each place individually. On our recent cruise to the Panama Canal, we stopped in Aruba, Columbia, Grand Cayman Island, the country of Panama, and Costa Rica. The variety of ports was part of the cruise’s appeal, because (let’s be honest) when else am I going to take my two little ones to Columbia? We might never have reason or the resources necessary to get back there. My favorite Panama Canal port stop was definitely watching my girls make friends with the Embera Indian children in Panama (you can read all about it here). 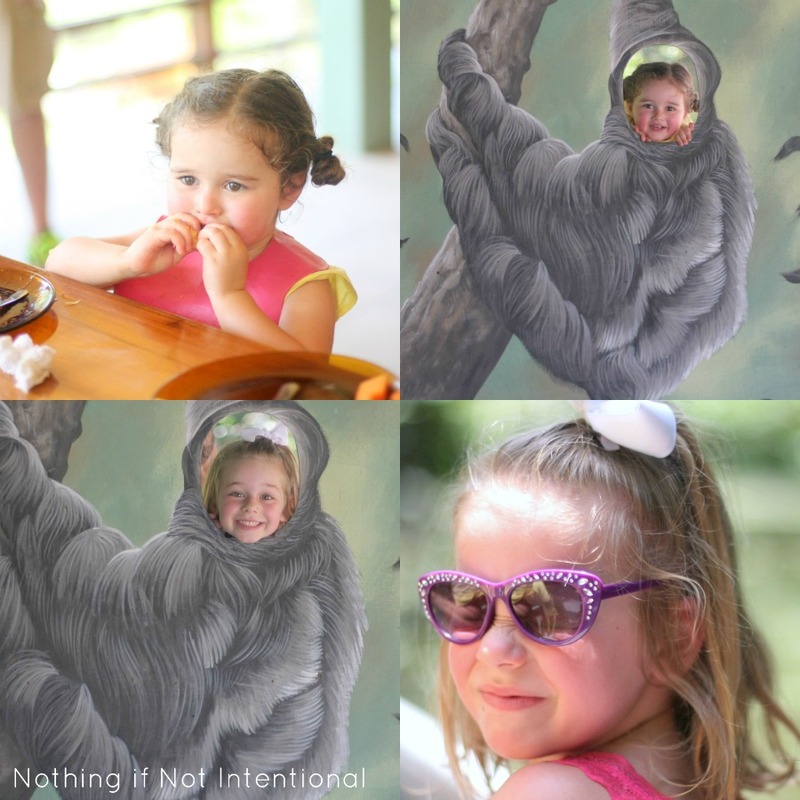 But some of my other family members admitted that they preferred our visit with the sloths in Costa Rica. 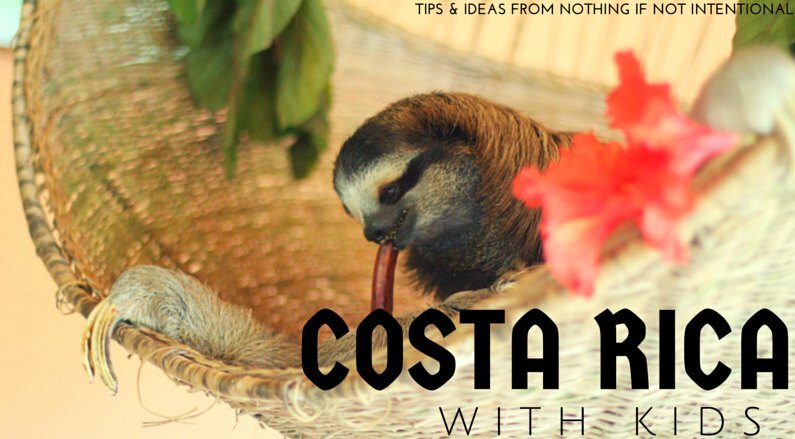 Our visit to the Sloth Sanctuary of Costa Rica started with a short bus ride and a stop at a little roadside market. 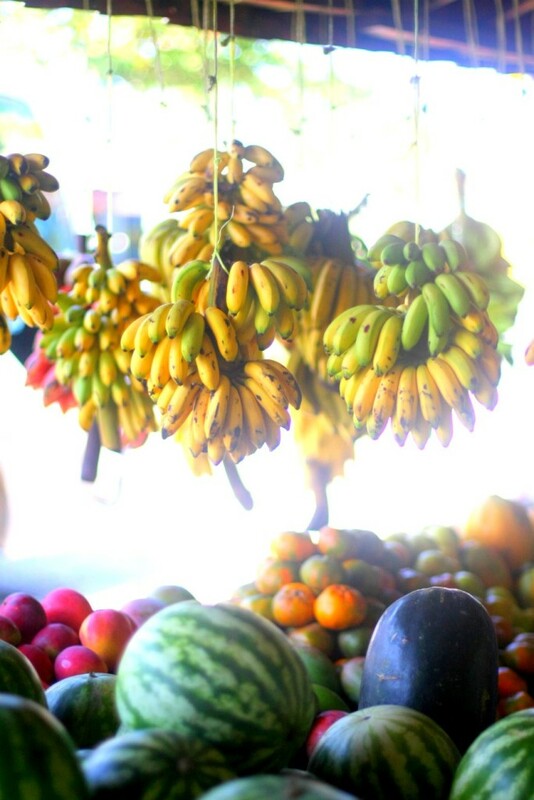 The “tropical fruits” we have access to at home in Indiana bear few similarities to the fresh, juicy treats we picked up from this stand. Also…did you know that chocolate actually starts as a bean that’s covered by a yummy and gooey white film? Yeah, me neither. 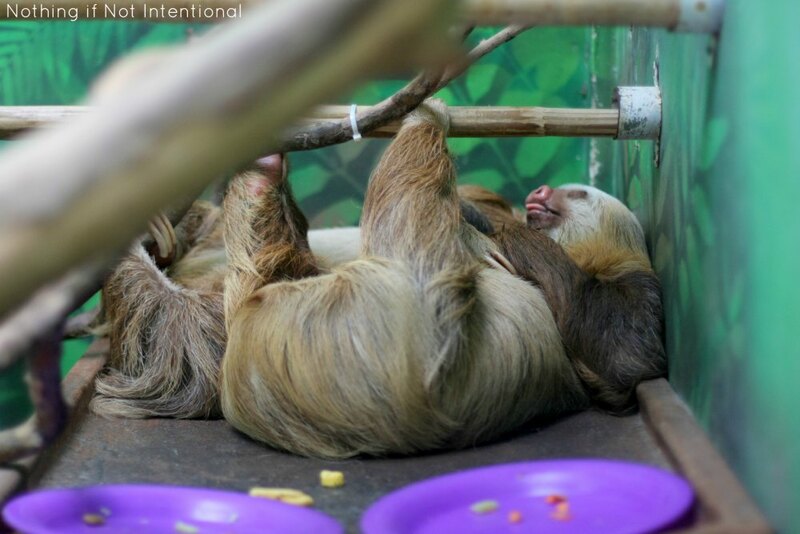 The sloths themselves seemed sleepy and sedate, but don’t call them lazy! “Efficient” is probably a more appropriate term, but “efficient” doesn’t sound as nice for a species name. They’ve also been accused of being weird, gross, and beautiful. I think “cute” and “cuddly” seem like fitting descriptions. 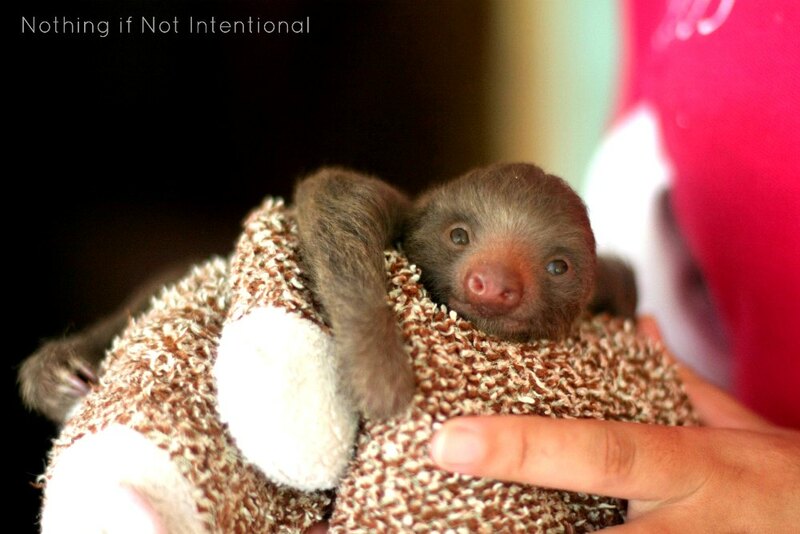 They’re definitely cute when you stumble upon a sloth caregiver holding an itty bitty baby that was born just a few days earlier! 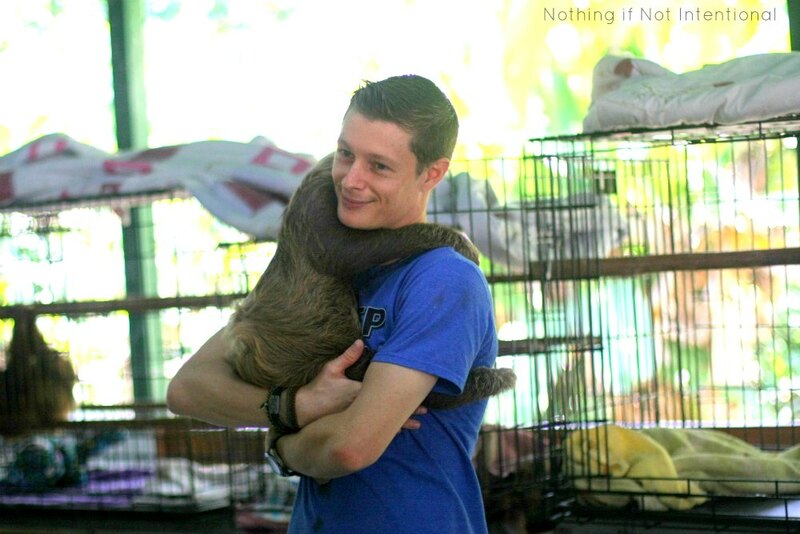 Unfortunately, I can’t confirm the cuddliness of sloths since we had to give them space; apparently cuddling with strangers would have been more stressful than fun for the sloth. I find that a little hard to believe. I mean, what wild animal wouldn’t want to be smothered cuddled by these two zealous adorable toddlers? 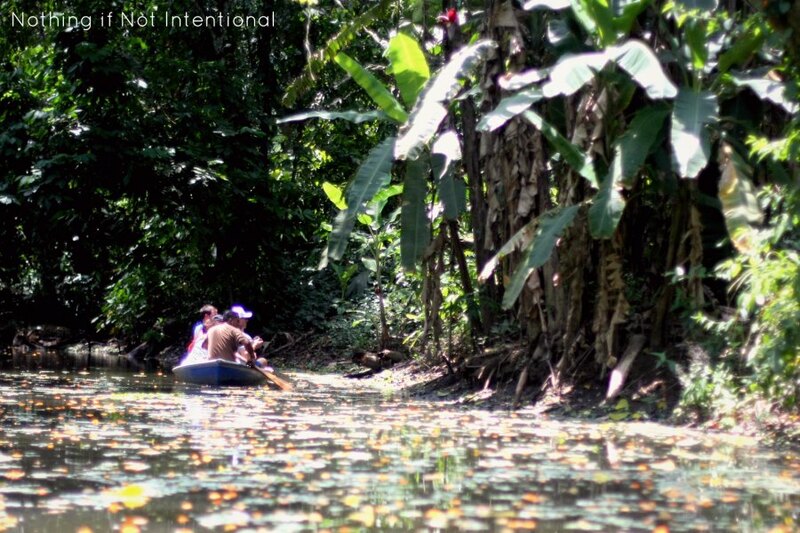 The climactic conclusion to our sloth sanctuary visit was a canoe trip down a jungle river. The girls saw crabs, bats (hanging about a foot over my head. Gives me the shivers! 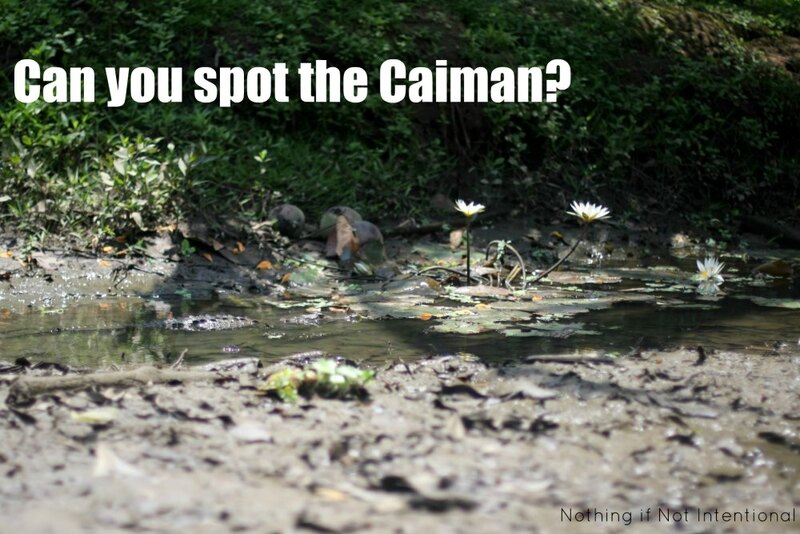 ), howler monkeys swinging in the trees, and even a baby caiman hanging out in the mud. Yes, a real, live caiman! But don’t be too alarmed, fellow land dwellers! The veterinarian riding in our canoe thought this baby looked to be a few months too old to still be guarded by his (significantly bigger–up to 13ft) mama. 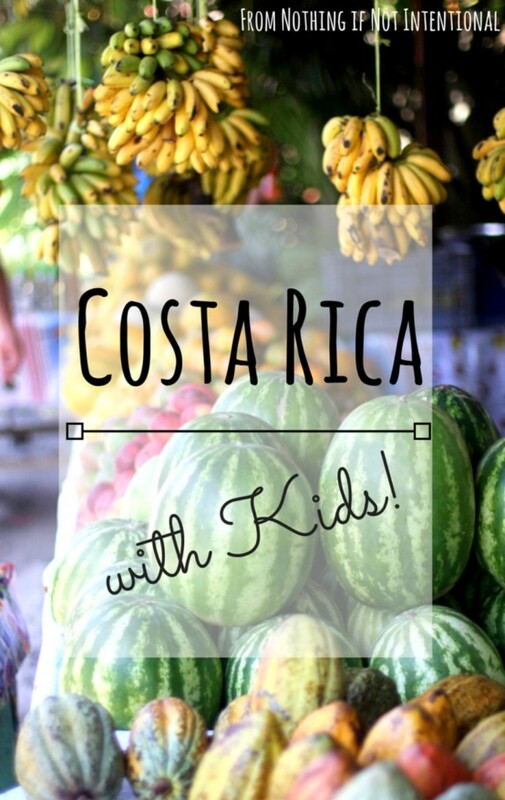 Our visit to Costa Rica was much too short. But it’s definitely a country we hope to visit again–on a cruise or perhaps as a solo destination!